From a rich creative upbringing in the theater world of Nimes, France, Camille Ralph Vidal has split her artistic and business-minded personality into distinct tracks. After a career cleansing trek into the hospitality industry of Australia, her life was forever changed. Learning to speak English, learning the foundations of cocktail composition, and learning how to find her path in this cocktail renaissance collided into a chance meeting with late St-Germain founder Rob Cooper. Years later, Camille is known as Madame St Germain: the ultimate host. Beyond the travels and education, she's also found the time to write a book expressing her innate hosting nature. 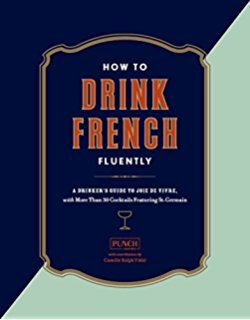 "How to Drink French Fluently: A Guide to Joie de Vivre with St-Germain Cocktails" We chat health, Instagram, and more.